Kryo X - NYC. 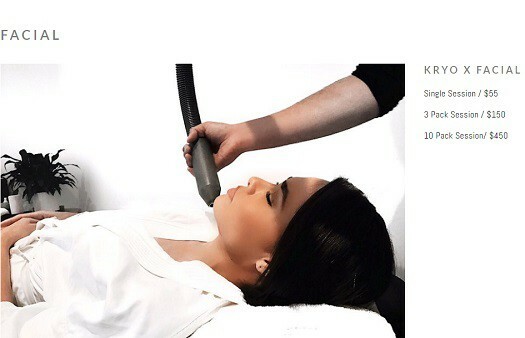 For the best in cryotherapy NYC, KryoLife offers full-body cryotherapy and local cryotherapy treatments in the heart of New York City just south of Central Park. Originally invented by doctors as a powerful anti-inflammatory tool, whole body cryotherapy is now recognized as an important restorative treatment for the body and mind. When your body briefly exposed to cryogenic temperatures ranging from - 184 F to - 256 F . Extreme cold can stimulate temperature receptors in the skin to activate the nervous, immune and endocrine systems, resulting in reduction of pain and inflammation, and improvement in mood, improvements to physique, and the overall health of the body generally enhancing your overall health, wellness, and being. A trained Kryo X KryoTherapist guides you into one of our exclusive cryo-chambers (a room filled with air cooled by liquid nitrogen) or cryosaunas (open-topped cryotherapy device). Many compare the sensation to standing in front of an open freezer on a hot day – chilly but tolerable, if not refreshing, and far less jarring than an ice bath because, although the air is extremely cold, it is dry. After the treatment, you’re encouraged to ride the studio’s stationary bike; engaging in moderate cardiovascular exercise stimulates blood flow and enhances the treatment.